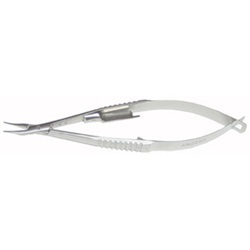 McPherson Needle Holders are available in both straight and curved, very delicate 11mm jaw options. Comes with locking mechanism. Flat, cross-action handle. Overall length: 107mm.